For the Australian soldier, see Frederick Hamilton March. Fredric March (born Ernest Frederick McIntyre Bickel; August 31, 1897 – April 14, 1975) was a "distinguished stage actor and one of Hollywood's most celebrated, versatile stars of the 1930s and 40s." He won the Academy Award for Best Actor for Dr. Jekyll and Mr. Hyde (1931) and The Best Years of Our Lives (1946), as well as the Tony Award for Best Actor in a Play for Years Ago (1947) and Long Day's Journey into Night (1956). March received an Oscar nomination for the 4th Academy Awards in 1930 for The Royal Family of Broadway, in which he played a role based upon John Barrymore. He won the Academy Award for Best Actor for the 6th Academy Awards in 1932 for Dr. Jekyll and Mr. Hyde (tied with Wallace Beery for The Champ, although March accrued one more vote than Beery), leading to a series of classic films based on stage hits and classic novels like Design for Living (1933) with Gary Cooper and Miriam Hopkins, Death Takes a Holiday (1934), Les Misérables (1935) with Charles Laughton, Anna Karenina (1935) with Greta Garbo, Anthony Adverse (1936) with Olivia de Havilland, and as the original Norman Maine in A Star is Born (1937) with Janet Gaynor, for which he received his third Oscar nomination. March resisted signing long-term contracts with the studios, enabling him to play roles in films from a variety of studios. He returned to Broadway after a ten-year absence in 1937 with a notable flop Yr. Obedient Husband, but after the success of Thornton Wilder's The Skin of Our Teeth he focused as much on Broadway theatre as Hollywood. He won two Best Actor Tony Awards: in 1947 for the play Years Ago, written by Ruth Gordon; and in 1957 for his performance as James Tyrone in the original Broadway production of Eugene O'Neill's Long Day's Journey Into Night. He also had major successes in A Bell for Adano in 1944 and Gideon in 1961, and played Ibsen's An Enemy of the People on Broadway in 1951. He also starred in such films as I Married a Witch (1942) and Another Part of the Forest (1948) during this period, and won his second Oscar in 1946 for The Best Years of Our Lives. March also branched out into television, winning Emmy nominations for his third attempt at The Royal Family for the series The Best of Broadway as well as for television performances as Samuel Dodsworth and Ebenezer Scrooge. On March 25, 1954, March co-hosted the 26th Annual Academy Awards ceremony from New York City, with co-host Donald O'Connor in Los Angeles. Henry Drummond (Tracy, left) and Matthew Harrison Brady (March), right) in Inherit the Wind. Previously, March had taken the role in The Desperate Hours originally offered to Tracy. Both men had also played Dr. Jekyll/Mr. Hyde. March's neighbor in Connecticut, playwright Arthur Miller, was thought to favor March to inaugurate the part of Willy Loman in the Pulitzer Prize-winning Death of a Salesman (1949). However, March read the play and turned down the role, whereupon director Elia Kazan cast Lee J. Cobb as Willy, and Arthur Kennedy as one of Willy's sons, Biff Loman, two men that the director had worked with in the film Boomerang (1947). 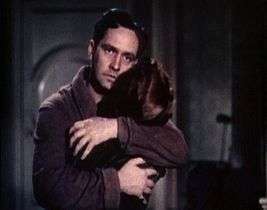 March later regretted turning down the role and finally played Willy Loman in Columbia Pictures's 1951 film version of the play, directed by Laslo Benedek, receiving his fifth-and-final Oscar nomination as well as a Golden Globe Award. March also played one of the two leads in The Desperate Hours (1955) with Humphrey Bogart when Bogart and Spencer Tracy both insisted upon top billing and Tracy withdrew, leaving the part available for March. In 1957, March was awarded The George Eastman Award, given by George Eastman House for "distinguished contribution to the art of film." On February 12, 1959, March appeared before a joint session of the 86th United States Congress, reading of the Gettysburg Address as part of a commemorations of the 150th anniversary of Abraham Lincoln's birth. March co-starred with Spencer Tracy in the 1960 Stanley Kramer film Inherit the Wind, in which he played a dramatized version of famous orator and political figure William Jennings Bryan. March's Bible-thumping character provided a rival for Tracy's Clarence Darrow-inspired character. In the 1960s, March's film career proceeded with a performance as President Jordan Lyman in the political thriller Seven Days in May (1964) in which he co-starred with Burt Lancaster, Kirk Douglas, and Edmund O'Brien; the part earned March a Golden Globe nomination as Best Actor. March made several spoken word recordings, including a version of Oscar Wilde's The Selfish Giant issued in 1945, in which he narrated and played the title role, and The Sounds of History, a twelve volume LP set accompanying the twelve volume set of books The Life History of the United States, published by Time-Life. The recordings were narrated by Charles Collingwood, with March and his wife Florence Eldridge performing dramatic readings from historical documents and literature. Following surgery for prostate cancer in 1970, it seemed his career was over, yet he managed to give one last performance in The Iceman Cometh (1973), as the complicated Irish saloon keeper, Harry Hope. March was married to actress Florence Eldridge from 1927 until his death in 1975, and they had two adopted children. He died from prostate cancer, at age 77, in Los Angeles, California; he was buried at his estate in New Milford, Connecticut. Throughout his life, he and his wife were supporters of the Democratic Party. March has a star for motion pictures on the Hollywood Walk of Fame at 1620 Vine Street, making him one of only twelve male actors in Hollywood history with multiple Oscar wins that have also been honored with a star. In addition, the 500-seat theater at the University of Wisconsin-Oshkosh is named after March, as well as the 168-seat Fredric March Play Circle Theater at the University of Wisconsin-Madison Memorial Union. Biographies of March include Fredric March: Craftsman First, Star Second by Deborah C. Peterson (1996), and Fredric March: A Consummate Actor (2013) by Charles Tranberg. 1 2 3 Tranberg, Charles (2013). 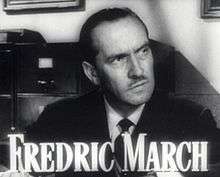 Fredric March: A Consummate Actor. Duncan, Oklahoma: BearManor Media. ISBN 9781593937454. 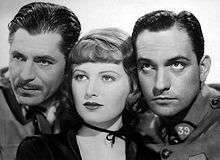 ↑ "Fredric March: A Consummate Actor - An Interview with author Charles Tranberg". Let's Misbehave: A Tribute to Precode Hollywood. Blogspot.com.au. ↑ "Awards granted by George Eastman House International Museum of Photography & Film". George Eastman House. Retrieved April 25, 2013. ↑ "Nation Honor Lincoln On Sesquicentennial" (PDF). Yonkers Herald-Statesman. Northern Illinois University Libraries. Associated Press. February 11, 1959. Retrieved April 25, 2013. Congress gets into the act tomorrow, when a joint session will be held. Carl Sandburg, famed Lincoln biographer, will give and address, and actor Fredric March will read the Gettysburg Address. ↑ "Fredric March | Hollywood Walk of Fame". www.walkoffame.com. Retrieved 2016-12-01. ↑ Peterson, Deborah C. (1996). Fredric March: Craftsman First, Star Second. Westport, Connecticut: Greenwood Press. ISBN 9780313298028. ↑ "Berlinale: Prize Winners". berlinale.de. Retrieved 2010-01-17. ↑ Kirby, Walter (February 15, 1953). "Better Radio Programs for the Week". The Decatur Daily Review. p. 42. Retrieved June 21, 2015 – via Newspapers.com.